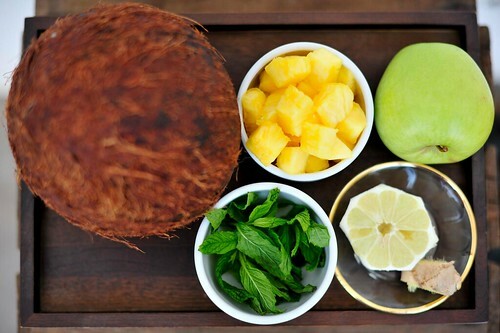 Put pineapple, apple, lemon and ginger though your juicer. 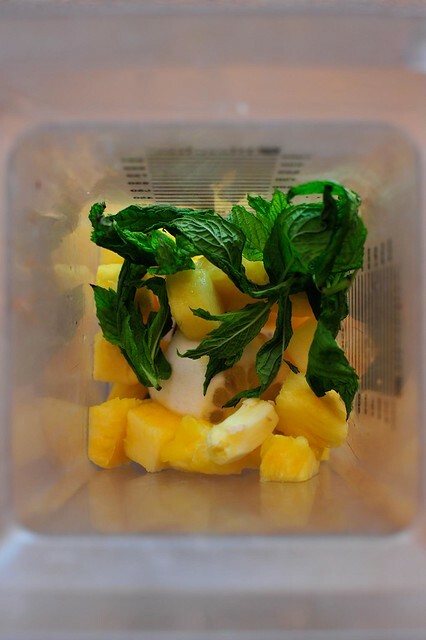 Place your extracted juice in a blender, add your mint, plus a few ice cubes if you wish and blend baby blend! You’ll end up with a fabulous, refreshing frothy smoothie so delicious to drink you’ll probably end up with white, foamy moustache! 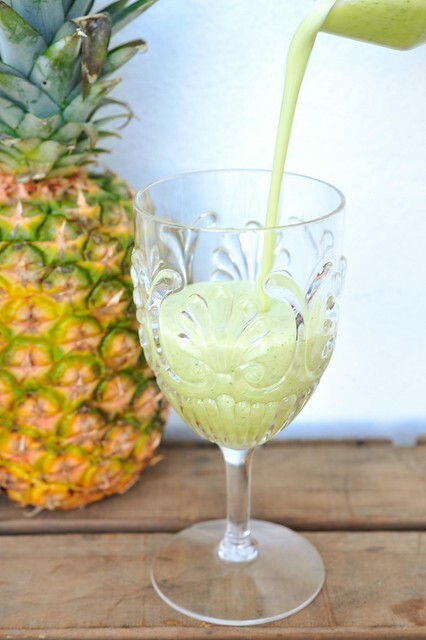 Pineapple is full of Vitamin C, wonderful digestive enzymes and is a fantastic cleanser. An apple a day keeps the doctor away, lemon is a fantastic alkaline zinger, mint just makes everything taste better and ginger is a great antifungal bendy little thing that also does wonders for digestion. P.S. If you are in a festive mood already and want to spice this baby up, a ‘dash’ of vodka will do nicely. As healthy an alcoholic cocktail as you can get!